Is your Razer gaming laptop damaged or faulty? 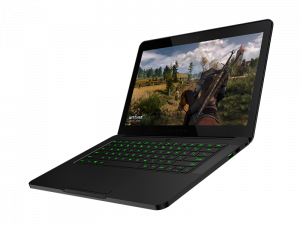 Creative IT, a professional laptop repair company in Central London, offers quick, reliable and affordable Razer laptop repair and upgrade services for all Razer Blade, Razer Blade Pro and Razer Blade Stealth gaming laptop models. With years of practical experience in the notebook repair industry, state of the art infrastructure, comprehensive knowledge and advanced diagnostic tools, our expert engineers and technicians can quickly and efficiently identify and repair laptop issues at an affordable price. 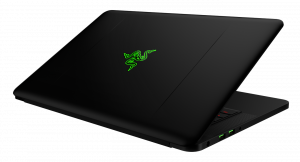 Creative IT can troubleshoot and fix your gaming laptop software and hardware problems and moreover faulty Razer laptop motherboards can be repaired down to the component level. Common laptop problems we can troubleshoot and fix for all Razer Blade, Razer Blade Pro and Razer Blade Stealth gaming notebook models include laptop computer doesn’t turn on, laptop powers up but the screen is black, laptop turns on and off repeatedly, laptop randomly shuts down or freezes, laptop is not charging properly or charging very slowly, spilled liquid on the laptop, trackpad does not respond anymore, unable to connect to the Internet, keyboard not working and laptop overheating and shutting down. We pride ourselves on fast turnaround and quality Razer laptop repair and servicing, with most repairs being completed the same day. Creative IT provides customers 3 months back to base warranty. We are always pleased to provide exceptional support and follow it up with great client service. If you have any questions regarding our London Razer laptop repair and upgrade service or would like to arrange an appointment, please contact us today on 020 7237 6805 and we will fix your gaming laptop problems quickly.